ORLANDO, Fla. – Aug. 8, 2018 – Second-quarter 2018 saw increased sales, higher median prices and more new listings for Florida's housing market, according to the latest housing data released by Florida Realtors®. Many local markets continued to report a lack of for-sale inventory, which impacts sales and puts pressure on rising median prices. Closed sales of single-family homes statewide totaled 80,711 in 2Q 2018, up 1 percent from the 2Q 2017 figure. "During the second quarter of 2018, Florida's economy and jobs sector continued to grow," said 2018 Florida Realtors President Christine Hansen, broker-owner with Century 21 Hansen Realty in Fort Lauderdale. "In June, the state's unemployment rate was 3.8 percent while the U.S. unemployment rate was 4.0 percent. On another positive note, Florida's 2Q 2018 homeownership rate was 65.1 percent. Looking at Florida's condo-townhouse market, statewide closed sales totaled 34,376 during 2Q 2018, up 4.7 percent compared to 2Q 2017. The closed sales data reflected fewer short sales – and rising traditional sales – over the three-month period: Short sales for condo-townhouse properties declined 41.4 percent while short sales for single-family homes dropped 45.2 percent. Meanwhile, traditional sales for condo-townhouse units rose 6.8 percent and traditional sales for single-family homes increased 4.3 percent year-over-year. Closed sales typically occur 30 to 90 days after sales contracts are written. To see the full statewide housing activity reports, go to Florida Realtors Research & Statistics section on floridarealtors.org. 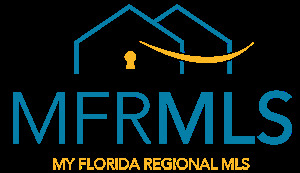 Realtors also have access to local market stats (password protected on Florida Realtors' website.